The HLV-6A is a horizontal lander vehicle designed to land logistics equipment to the surface of Duna. 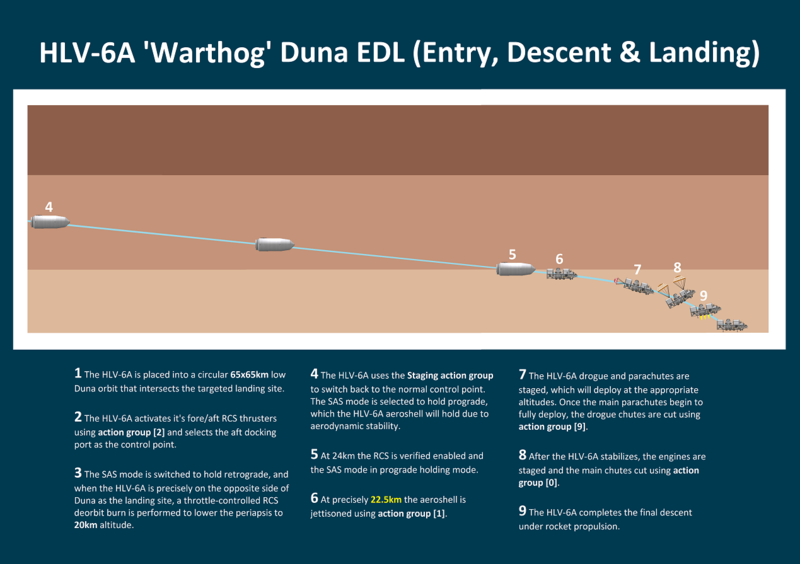 Once touched down at the planned landing site, the ‘Warthog’ deploys power generation and ISRU equipment to produce propellant for the Duna Ascent Vehicle (DAV). 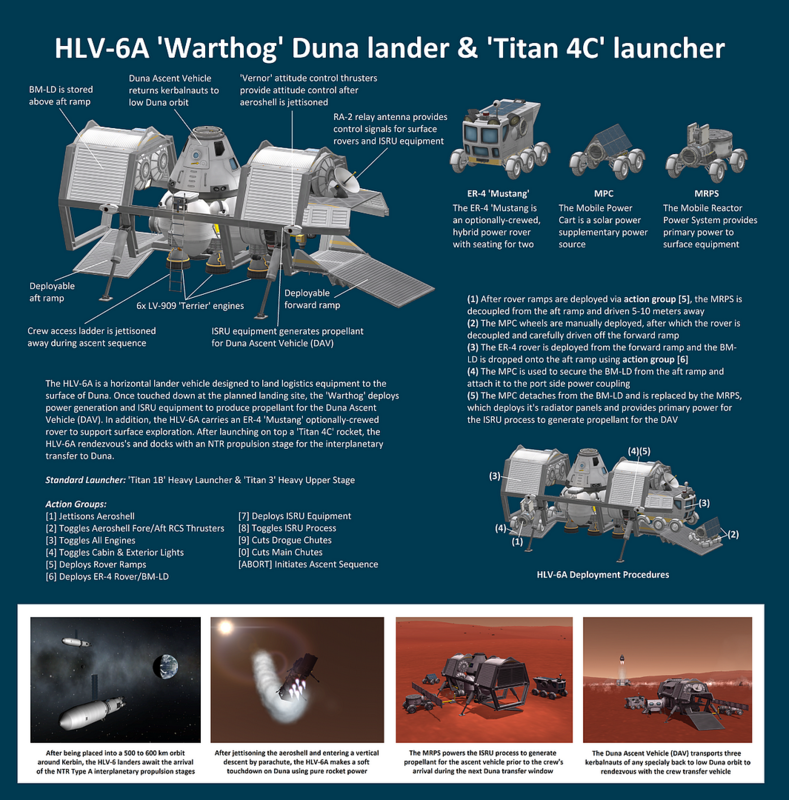 In addition, the HLV-6A carries an ER-4 ‘Mustang’ optionally-crewed rover to support surface exploration. After launching on top a ‘Titan 4C’ rocket, the HLV-6A rendezvous’s and docks with an NTR propulsion stage for the interplanetary transfer to Duna.